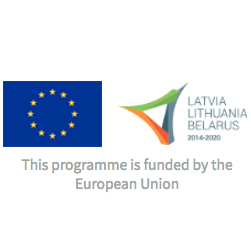 The 3rd Call for Proposals of the European Neighbourhood Instrument Cross-Border Cooperation Programme Latvia-Lithuania-Belarus 2014-2020 is launched on the 18th of March 2019 with the deadline of the 30th of May 2019, 12:00 (Vilnius time, GMT+2). By this time the applications must have reached the Public establishment Joint Technical Secretariat (Konstitucijos Ave. 7, LT-09308, Vilnius). 1.2. Stimulating employment through entrepreneurship and innovations*. * As the applications selected within the 1st and 2nd Calls for Proposals foresee fulfilment of the Programme result indicator “Number of people in the Programme area who have received support in developing their employability and entrepreneurial capacities” with respect to the target group “youth” and “pre-retirement age people”, in order to be approved for funding the applications submitted within the 3rd Call for Proposals shall focus on other target groups: “other” population, as indicated in section 2.1.1 of the Guidelines in the description of the vulnerable groups. ** Within the 3rd Call for Proposals, the Applicants are encouraged to actively submit applications for the Priority 2.2 “Strengthening society”. Projects shall involve beneficiaries coming from at least one of the participating EU Member States (Latvia or Lithuania) and Belarus. Each organisation must be a legal non-profit entity and must be located in the eligible area of the Programme. Project budget consists of the EU funding (grant) and the amount of co-financing provided by project beneficiaries. FOR THE POTENTIAL APPLICANTS ATTENTION! If technical documentation, which was submitted for a previous Call for Proposals along with the application, is to be submitted repeatedly for the 3rd Call, please contact the JTS in advance in order to redeem necessary technical documentation. The participation of potential applicants in events and consultations organised by the Joint Technical Secretariat is highly recommended.